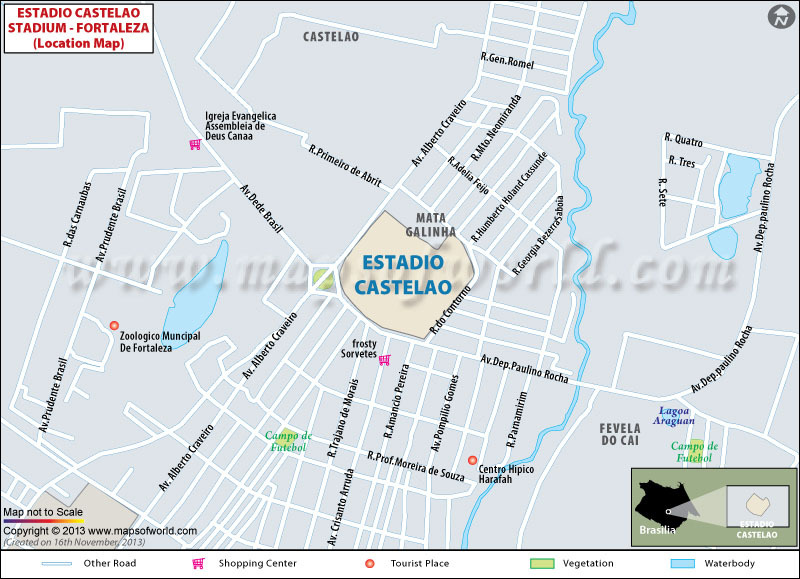 Estádio Castelão is located in one of the main tourist destinations of Brazil, Fortaleza. This stadium was established in 1973. The entire stadium has been remodeled. The number of seats has been increased to 67,037. Associated facilities are completely refurbished dressing rooms, underground car park with enough space for parking 1,900 cars, pitch-side seating, mixed zone, media centre, a VIP area, new roof at every tier, and executive boxes. Infrastructure along with arrangements in and around this stadium has also been upgraded such as 4 exclusive bus lanes, one line for light rail vehicles, two metro stations, and a complex having a hotel, cinemas, restaurants, and Olympic center. Fortaleza is a beautiful city with 34 wonderful beaches. It is one of the most happening tourist destinations in Brazil. It is also one of the most densely populated cities, where 2.4 million people live over an area of 313 km². Fortaleza is also the fifth-largest city of Brazil. The GDP of Fortaleza is R$28 billion and the per capita income is around R$ 12,000. The main source of income of the city is tourism and diversified commerce. Some of the largest shopping malls are present here and some of them are Via Sul, Del Paseo, Aldeota, North Shopping, and Iguatemi. Some of the products produced here are processed foods and beverages, items derived from leather, footwear, and others. Most popular places in Fortaleza ﻿are Praia do Futuro, Mucuripe Beach, and Beira Mar Avenue. You will love to explore barracas, Iracema, forró dance, handmade wooden boats, traditional fair for daily craftsmen, Beach Park, and Centro Dragão do Mar de Arte e Cultura, etc. Some of the must visit places in Fortaleza are Praça do Ferreira, Theatro José de Alencar, History Train, Museu de Arte e Cultura Popular, Museu do Automóvel, Estoril, Mini Siará, Mercado dos Pinhões, and Parque Ecologico do Cocó. 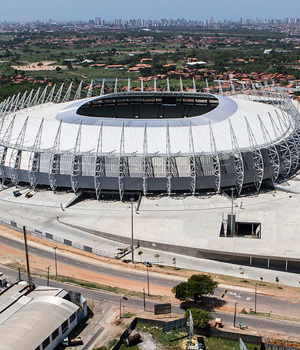 The stadium is situated around 10 kms away from the main places of the city like Iracema beach and Dragão do Mar area. Metro and taxi facilities are available in abundance. Bus facilities are available from any corner of the city. The airport is also located only 3.5 kms away by taxi. Prices of tickets vary on the basis of section, category, and date. Ticket prices vary from $644 to $1,325.